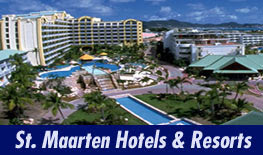 Where exactly is the dual Caribbean island of St. Maarten, St. Martin located? As long as the pilot of your plane knows, you shouldn’t worry about it but if he’s confused, it might be a good idea for you to know so you can help him find it. 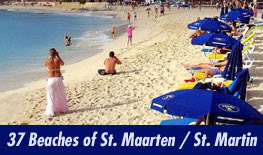 St. Maarten, St. Martin is located at 18.02 latitude and 63.07 longitude and sandwiched between the Caribbean Sea to the west and the Atlantic Ocean to the east. 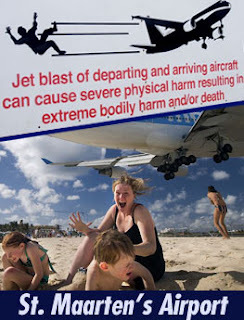 This would be on your map at the top right corner of the Caribbean chain just to the East of Puerto Rico and the U.S. Virgin Islands and is part of the Netherlands Antilles. The Caribbean chain begins below Florida with the largest of the islands, Cuba. It then continues East and turns South after St. Maarten, St. Martin ending with Trinidad and Tobago just off the coast of Venezuela. In a restored Creole home on the northern end of Grand Case, you’ll discover a delightful piece of Italy. For 10 years, Chef Ciro Russo and his wife Lara have been luring diners to their tranquil restaurant away from the hubbub of Grand Case’s Restaurant Row. In English “Spiga” means “ear of wheat” and the restaurant is a shrine to hand-made pasta. From Veal Ravioli to Pork Tenderloin Cavatelli, the food is lovingly prepared, served on Bernardaud China and rounded out with a list of over 150 Italian wines. One of the popular places for after-dinner evening fun if you want to get away from the casino’s and discos is The Red Piano at Pelican Resort in Simpson Bay and it’s open daily from 7pm until the last person drops. The Red Piano features live entertainment specializing, of course, in sing-along pianists and after a few drinks, everybody is singing along. The Red Piano has become THE place to go for drinks and perhaps dancing. You may even feel the urge to join in with a song yourself. There is something about each restaurant that sets it apart all the others. At Le Pressoir in Grand Case, everything sets it aside. Named after the ancient salt press facing the restaurant, visitors to Le Pressoir are awed by its colorful and intricately restored Creole façade and it is one of the most photographed restaurants on the island. Taste of St. Martin award winning Chef Franck Mear shares his passion for gastronomy and presents you with an extensive and fine French menu featuring such delights as Rolled Sea Scallops in Mango Butter Sauce and home-made slices of Rhum Jumbie Marinated Foie Gras. The menu is complemented one of the best wine lists with 250 references. Primarily famous for its breakfasts and closing for the day after lunch, Zee Best now has 3 locations on St. Maarten, St. Martin. Simpson Bay Yacht Club and Port de Plaisance on the Dutch Side and Marina Royale on the French Side in Marigot. Established in 1983, Zee Best serves its famous pastries baked fresh every morning, a great coffee selection, freshly squeezed juices, crepes and everything you could imagine with eggs. Zee Best makes the most important meal of the day the most delicious. 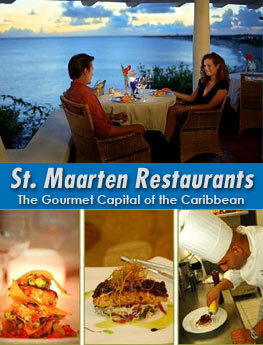 Voted the best breakfast place in St. Maarten, St. Martin every year, Zee Best has just begun serving lunch from 12 to 2 pm and is open 7 days a week.